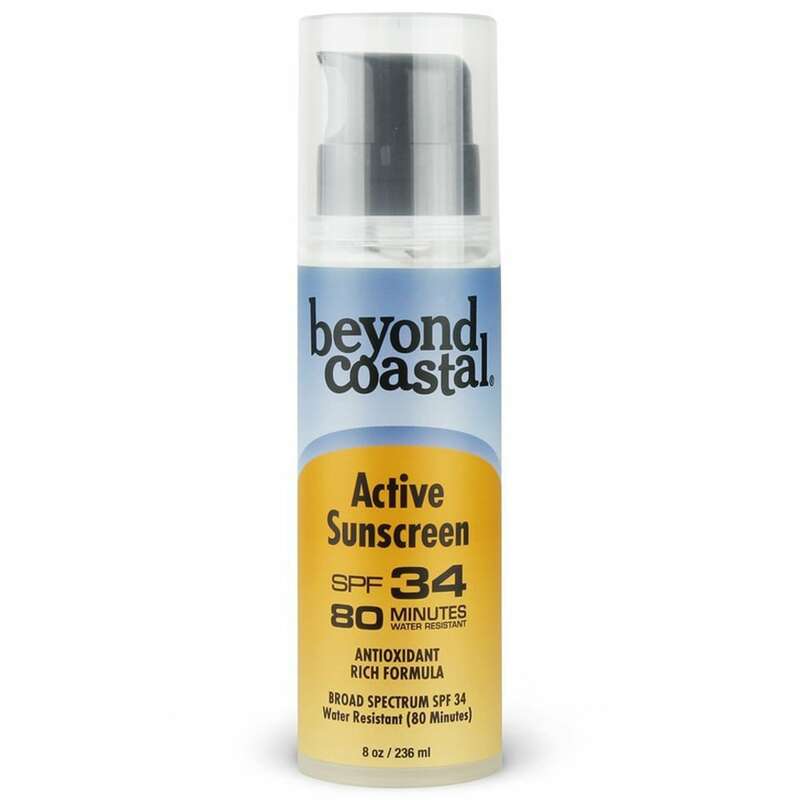 Beyond Coastal’s Active Formula is designed for long, hot hours in the sun and water. With maximum water and sweat resistance that rubs in clear, it helps your skin feel moisturized and protected. Inactive Ingredients: Acai Fruit Extract, Aloe Vera Leaf Extract, Ascorbic Acid, Caprylyl Glycol, Castor Isostearate Succinate, Cetearyl Ester, Emulsifying Wax, Galactoarabinan, Glycerin, Glyceryl Stearate SE, Irish Moss Extract, Isopropyl Palmitate, Jojoba Esters, Lauric Arginate, Methylcellulose, Pomegranate Extract, Potassium Sorbate, Propanediol, Rose Hip Oil, Sesame Seed Oil, Shea Butter, Silicon Dioxide, Vitamin C, Vitamin E, Water, Xanthan Gum, Yerba Mate Extract.